The weather has been so beautiful lately, the wind has finally died down and the sun is shining brightly! In planning my menu this week, checking the freezer to see what we have/what I need to use up, I spied some steaks and thought how long its been since we barbequed. So, DS3 and I went out to the backyard to see what we could find for a barbeque. We found an old terra cotta planter that was just the perfect size, put enough dirt in the bottom to level it out, and then covered it with heavy duty foil. Then you can put your charcoal briquettes in, light them and voila! 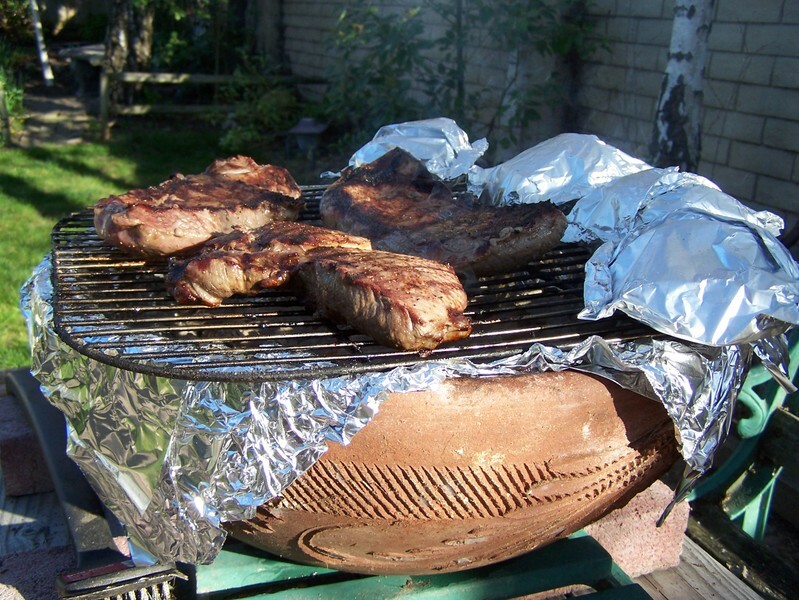 an instant homemade barbeque. We cooked veggies (carrots, broccoli, pea pods and mushrooms) in foil, and then started some apples with a smidge of butter, brown sugar and cinnamon - the packets around the edge of the grill - and then put on our steaks. I had bread in the machine and potatoes baking in the oven. It was all delicious! And Fun!! We'll be using it again and again! Now if you are at all like me, you'll read 'corking' and think, "Huh?" That's what I thought when I first saw this book during my library seach for easy knitting projects. And as usual, if I want to know something, I go to my knowledgeable Uncle Google. And as usual, he gave me some great information as well as some really cool links and ideas! 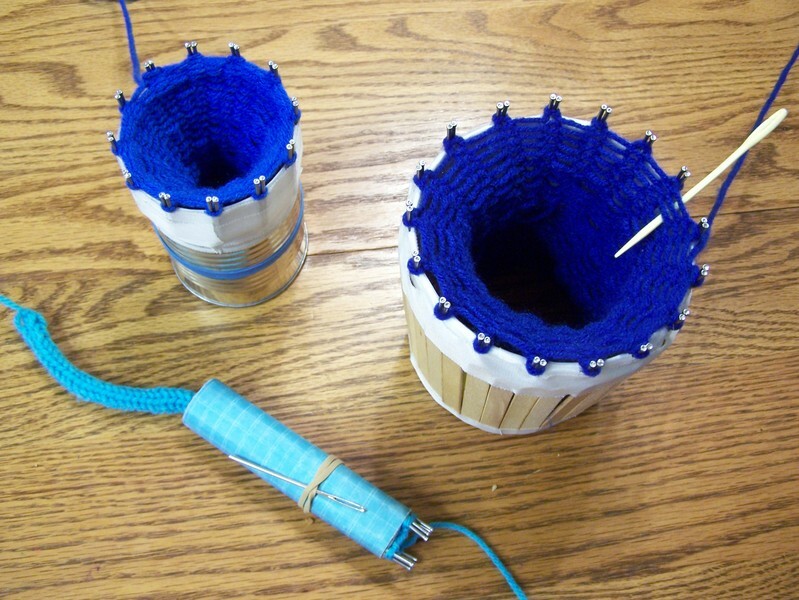 Corking, also known as a knitting spool, knitting Nancy, or knitting knobby is simply knitting a tube using pegs and a blunt needle instead of knitting needles. So we got the book from the library - it's cool and fun and just FULL of crafts and projects and toys that you can make with your tubes - and daughter promptly discovered it and decided that she wanted to make a small spool, like the one on the cover, so she could make a rope. (She loves to tie things up!) Younger son saw us making hers and he decided he'd like one, too! By the time we were done making younger sons, middle son wanted in on all this knitting action as well. They are pretty easy to make. All you need is something round and hollow, 1" cloth tape, finishing nails (they are straight with no heads to speak of), yarn and a yarn needle or smaller crochet hook. We used a toilet paper tube, a 15 oz. can and an large yogurt container. For the toilet paper tube, you cut it along the side, roll it until it is doubled (till the cut sides are even when rolled double-thick - does that make sense? ), and tape it closed with the cloth tape. Put a strip of the cloth tape sticky side out around the top of your spool, then you place the two nails together (as one peg) on the tape at 12 o'clock, 3 o'clock, 6 o'clock and 9 o'clock, having the nail heads 1/2" above the rim of your spool. Cover that strip with another strip of cloth tape. Then you seal the top edge, and secure the nails in place by cutting strips of the 1" tape in half lengthwise and taping in between each nail set. That's it! The instructions for the larger containers are essentially the same, except in placing the nail sets around the rim you will space them 5/8" apart. You may also cover your corker with felt or fabric to make it more decorative, if you wish. Here are a few links if you'd like to learn more or get started yourself in corking. 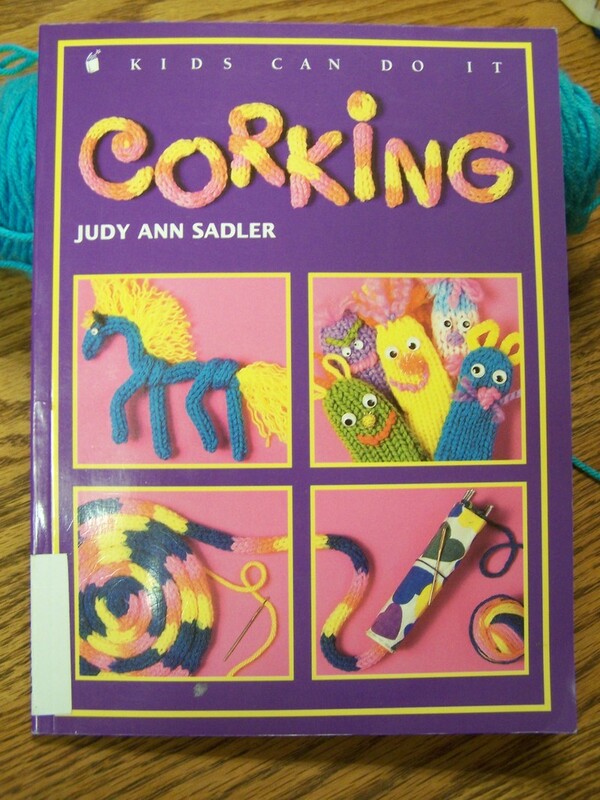 And of course, don't forget to look for this great book, Corking by Judy Ann Sadler, at your local library or bookstore! I'll post a Tutorial on how to make the spool if anyone is interested or would like more information than the directions above. Schedules and I have never really gotten along. We've tried to get past simply nodding an acknowledgement when we see each other, but it never works for long. The schedule looks so nice across the room, it's organized squares all neatly filled in and ready for each and every hour. The closer I get to it, though, the more my self balks at following orders. It is a struggle I deal with all the time. My real struggle is within myself. You see, I WANT a schedule. I NEED a schedule. But when it comes to having one in front of me, I'm fine for a day or two and then I rebel. Actually my lazy self takes over and starts questioning, "Do we really need to do that today?" "I don't feel like doing that right now. Let's do it later." ( and you know how seldom "later" comes around.) Or I just pretend that the schedule isn't even there - don't pull it out, don't look at it, don't think about it. I've made schedules before. 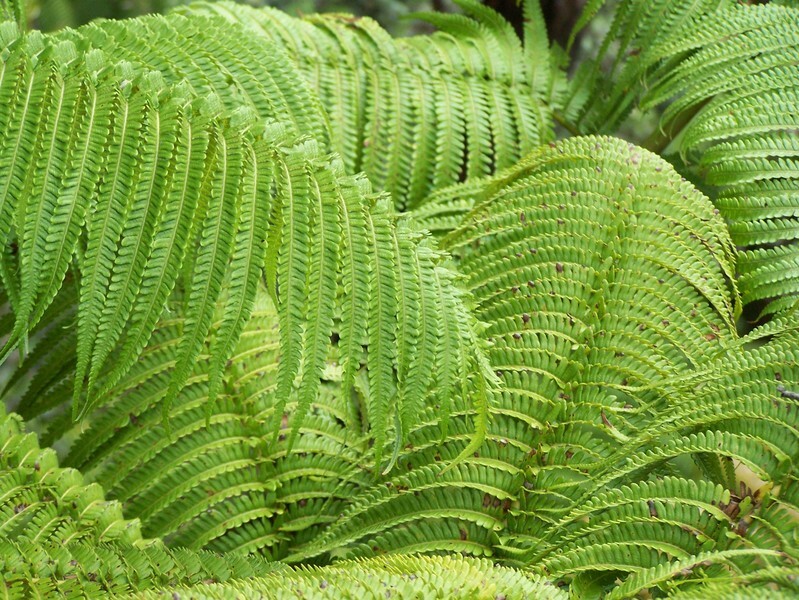 FLYLady has incredible lists and plans for keeping your home clean on a daily, weekly, monthly, and yearly basis. MOTH - Managers Of Their Homes - by Terri Maxwell, is a great resource for any mom, but especially for homeschooling moms. With this tool you can plan everything from cleaning chores, mealtimes, schoolwork, playtime, individual time with Mom, and more. I've also given OAMC - Once A Month Cooking a try. All of these are wonderful and when I've done them, I've felt better and reaped the benefits of following The Plan. She worketh willingly with her hands . . . She riseth while it is yet night . . . with the fruit of her hands she planteth a vineyard . . . She is not afraid of the snow for her household . . . She looketh well to the ways of her household, and eateth not the bread of idleness. Very sobering words. The LORD is very clear about the differences between the wise and diligent man (woman) and the slothful fool and the rewards each will reap. I KNOW the benefits of a schedule, or at the very least a regular routine. So, with wisdom and grace, I am taking small steps to add order to our days. One of the first ways I've been doing this is making a weekly school assignment sheet for each of the children. The basic idea for this came again from Terri Maxwell at Titus2.com. If you'll take some time to explore the site, you will find a treasure trove of ideas for just about everything. (I was blown away when I first saw examples of other families chore charts and the regular tasks that three-year-olds were doing when I thought my five-year-old was too young. ) Here is where I saw examples of assignment sheets. We don't always follow the assignments exactly, and the children are free to work ahead in any area they'd like to, but it is a guide for our day and the children's time. We've been using this for over a year now, sometimes loosely and sometimes more structured to fit the situation, with pretty good success. I've also been working slowly and steadily at cleaning and organizing the most used corners of our home. These are the corners where everything gets set down and it takes constant vigilance to keep picked up and clean. There is no trick to this. It simply takes plain old-fashioned diligence. FLYLady's site has a lot of great helps for decluttering your home, basic routines for cleaning, and encouragements, too. As she always says, "You can do anything for 15 minutes!" What I'm currently working on is planning at least a weekly menu for our meals. In the past I've excitedly written out the plan and gone shopping for necessary ingredients, only to get busy or off track and cook two or three of the six planned meals. My other problem is that when I sit down to plan, my mind gets fuddled and I can only remember about 7 meals that we like and eat regularly. So, in order to be realistic and have a better foundation for planning, I've been using Crystal's really cute Menu Planning Calendars for the past few months to keep track of what we eat, how often we end up eating out, have leftovers, etc. It has been a great tool and an eye-opener, too. Looking over the past two months it is very interesting to see that we have spaghetti every other week, and always on Monday. Hmm . . . Now, honestly, I haven't been totally diligent, and there are some nights where nothing is written because by the time I thought about it - usually four or five days later - I could only remember the last few meals and not what we had four nights ago! I'm trying a lot of new recipes this month also and so my plan is to keep track of what we eat for the rest of this month and then in May try my hand at actually planning breakfasts and dinners with enough leftovers for lunch the next day. So, what are some of the new recipes we've tried? Well, again, Crystal, a homeschooling, homesteading mother of 8 and grandmother to 1 sweet granddaughter, has just the greatest site and the best information on all kinds of things (I'd like to be her when I grow up!) In her Homestead Kitchen, she has a wide variety of nutrition information and wonderful recipes. We've been cooking with beans this week. Now the first thing you need to do is soak your beans in water overnight, or at least set them to soak in the morning for use that night. The reason for this is that legumes (beans), grains, nuts and seeds naturally have phytic acid. 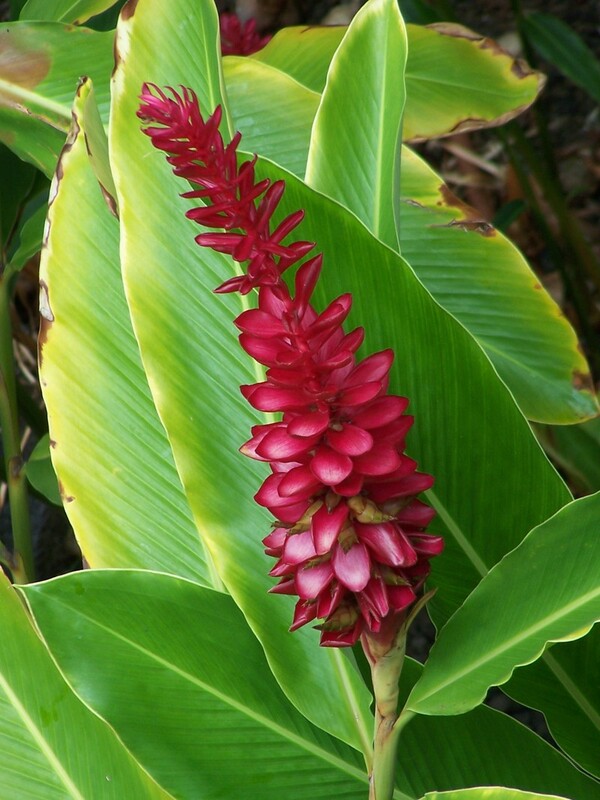 Phytic Acid is called an antinutrient because it binds to calcium, magnesium, iron and zinc. 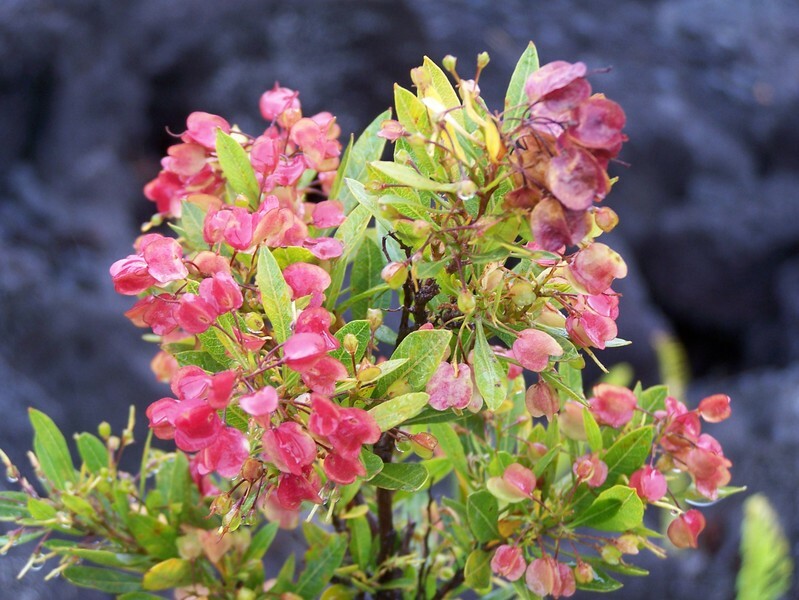 Essentially, it is a magnet for these minerals and will either attract them from the foods you are eating or will draw them from your own body. NOT a good thing. Soaking helps to remove the phytic acid as well as making the other nutrients more available for you to digest. Beans can simply soak in water but grains will need to soak in water with whey, yogurt or buttermilk which have lactic acid to help break down the grain and increase the nutrients available for you to digest. Good thing! What does all this take? Advance planning! What am I working on? Advance planning and eating healthier! A Perfect Fit!! Great! I've covered recipes, menu planning, scheduling, and lots of priceless resources. Let me give you one more resource and a tip to finish off with. If you are interested in feeding healthy foods to your family and haven't read Nourishing Traditions by Sally Fallon, then I would encourage you to check it out. I found it at my local library and so was able to look through it to decide if it was worth purchasing. It Is! I don't agree with everything she has in the book, but WOW! What an abundance of history and information about all the ways people ate for centuries without the diseases and cancers we face on an almost daily basis in our current culture of "instant food." Tip: Toothpaste!! Did you know that you can clean things, besides your teeth, with toothpaste? Use plain white toothpaste 1/2 and 1/2 with petroleum jelly to clean wooden instruments such as guitars and violins. Use toothpaste with flouride to clean silver flatware. This past weekend the children and I made our own laundry detergent. It was easy, fun and very cheap!! Armed with a new thought in my head - Watch Out! - I was at the grocery store the next day and just wondered, "Hmmm . . . do they have everything I need to make the laundry detergent?" They DID!! So, that afternoon I ask the children "Guess what we are going to do this afternoon?" When my plan was out, there a "Huh?" and a "Why?" but when the bucket was brought out, everyone was interested! 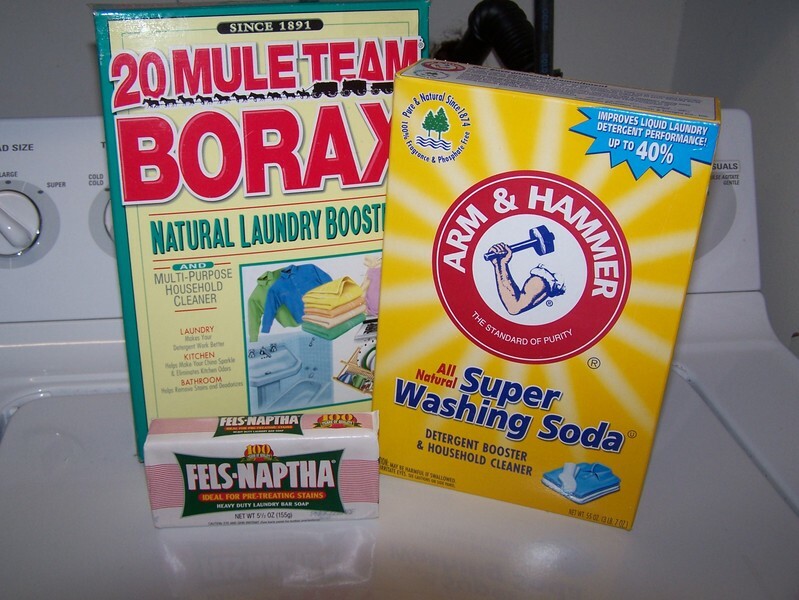 Exactly how DO you go about making your own laundry detergent? It is very simple really. You just need to make sure to gather everything beforehand so it is all ready to go. With a bit of measuring, heating, stirring and patience we had our own detergent! They all loved that we made it ourselves! I'll share how we did it and if you like you can also check out how Mrs. Miller does it there on the Homestead along with other information on what each ingredient does and more. 1 gallon water, room temp. You'll also need a bucket -we used an old powder detergent bucket, and a large spoon to stir with - we used a large stainless steel spoon like the cafeterias use :-). Have everything together and ready to go before you start. Into the bucket pour in your grated soap and your hot water. Stir until the soap is melted completely. Then add Borax and soda, stirring until dissolved. Next add remaining gallon of water and stir to mix. That's it! Leave it set for the day or overnight and it will soon be ready for you to use. It is gel-ly, gloppy, a bit water-y, and in all honesty looks like you left the noodles on to boil for too long! I stirred it up a bit to break up the big glops and to make it easier to scoop out and use. 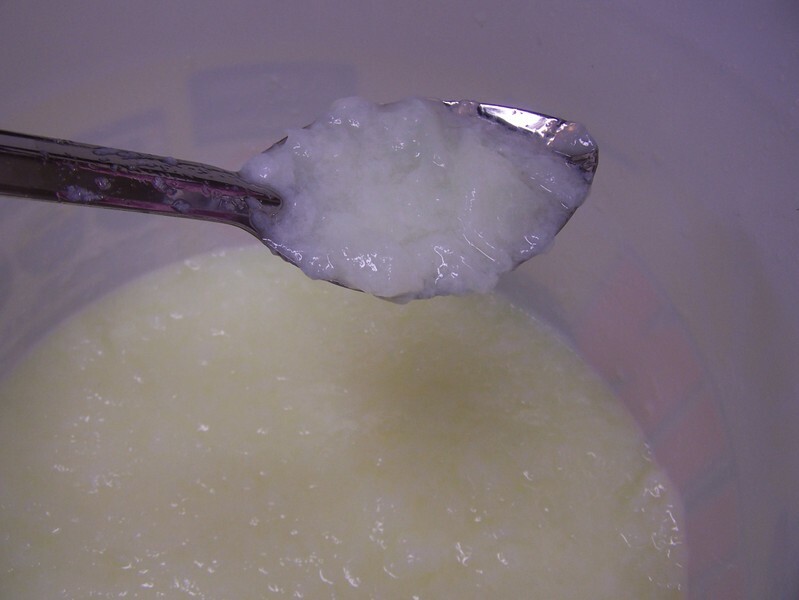 Now, I did read of some people having trouble with this getting gel-ly, and you could add more Borax which might help that. But even if it doesn't 'gel' it is still fine to use. All of the necessary ingredients are in there, they just didn't react with the water in a certain way. I think ours 'gelled' so fast and so well because we have soft water - but I could be wrong. You only need to use 1/2 cup of the detergent per load, of course adjusting as needed for larger or smaller loads or for loads that are a bit dirtier. I have washed 16 loads so far and think it is working wonderfully! The clothes are clean and clean-smelling without all of the perfumy stuff and poly-syllabic chemicals in the purchased detergents. Information is listed as follows: Item, Original Cost, Number of Batches we can make with this supply, Cost per batch. This recipe, using the amounts stated above, costs us 73 cents to make. At 2 gallons, or 64 in 1/2 cup measurements, this will cost about .0114 cents per load of laundry. You just can't beat that! If you make this, please share how it worked for you and your laundry!